So it's the middle of January and I have now gathered all the mail I got for Christmas. 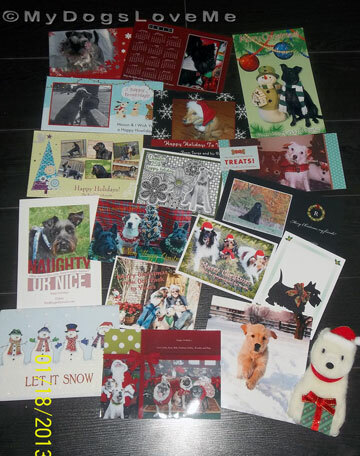 Before anything else, I would like to thank everybody- dogs,cats, and polar bears-alike that has sent me Christmas cards. I would also like to thank Jazzi's mom and friends for facilitating 2012's Christmas card exchange. 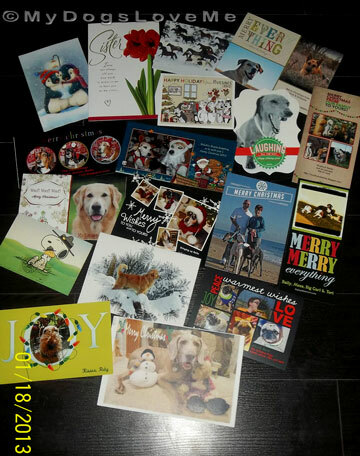 I truly hope that everybody participating received their cards from our pack. See what I mean about the Sanrio Polar Bear? Thanks, Furries of Whisppy mom! You'd never guess whose card that Golden Retriever puppy came from! LOL. Thanks, Austin and Caro of CATachresis... And lastly, the pretty red one (on the top left corner) is from Magic of Life in the Doghouse. 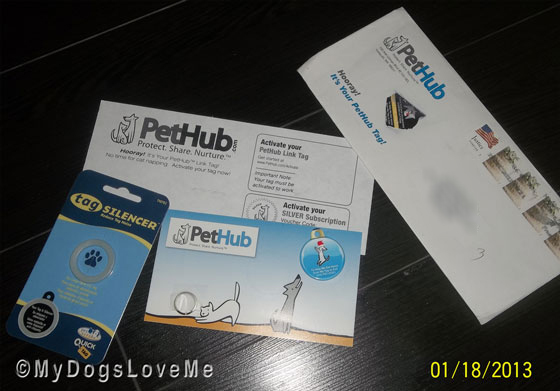 Next, we finally received our new Pet Hub tag from PetHub. We would like to thank Pam and Oskar of Pet Blogs United for sponsoring the Christmas giveaway to which we got our pretty PetHub Tag. Also, thank you, Miss Lorien and PetHub staffies for responding to our queries and facilitating its delivery to us. 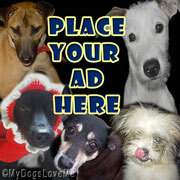 Check out their Pet Hub found me success stories. Tune in next time for our compilation of online cards. Hopefully, I haven't left anyone behind. How pawsome - you were one popular pup over Christmas!! Great haul of cards there. We hope you got ours? Have a fabulous Friday. We at last have got some snow so plan to have some fun. Hope you are doing well, dear friends! We saw our card! It was such fun! How fun! I couldn't get myself together at all to do cards this year and it looks like I missed out. So cute. Thanks for stopping by PoochieProject.com and your kind words about my 2013 Pet Blogger Challenge post. We see our card. The exchange is such a fun event, isn't it. We just got 12 cards that the post office held while we were in camp. Oh, an international card exchange seems like fun! Where was this one hosted? Whoa! That sure is a lot of cards! Lots of love via the mail! Each one is so lovely. Oh! Judging from all those card, you are totally loved!